In the last years, cognitive behavioral therapy has been strongly influenced by mindfulness meditation, starting with Marsha Linehan´s Dialectical Behavioral Therapy for borderline patients and with the Mindfulness-Based Stress Reduction program developed by Jon Kabat-Zinn, both from the United States. Further developments include Mindfulness-Based Cognitive Therapy and Acceptance and Commitment Therapy. All mindfulness based interventions attempt to integrate a mindful approach not only to symptoms but to life as a whole. The major change induced by the mindful approach is to learn to accept, not to judge and to integrate what IS, whether it be bodily sensation, thought or emotion, and so to improve one´s quality of life, rather than trying to change unpleasant experience and to run away from it. Ironically, this sometimes does result in a change in thinking or emotional state, but change is seen simply as a part of being, not as an end in itself. The practice of non-doing and non-judging I have found both difficult and life changing for many. Dora Kalff herself was a student of eastern religion and thought, rooted in tibetan and japanese buddhist teachings. Thus, her attitude of embodying a „free and protected space“ is directly related to what is now called a mindful approach. C. G. Jung as well was very interested in eastern thought. 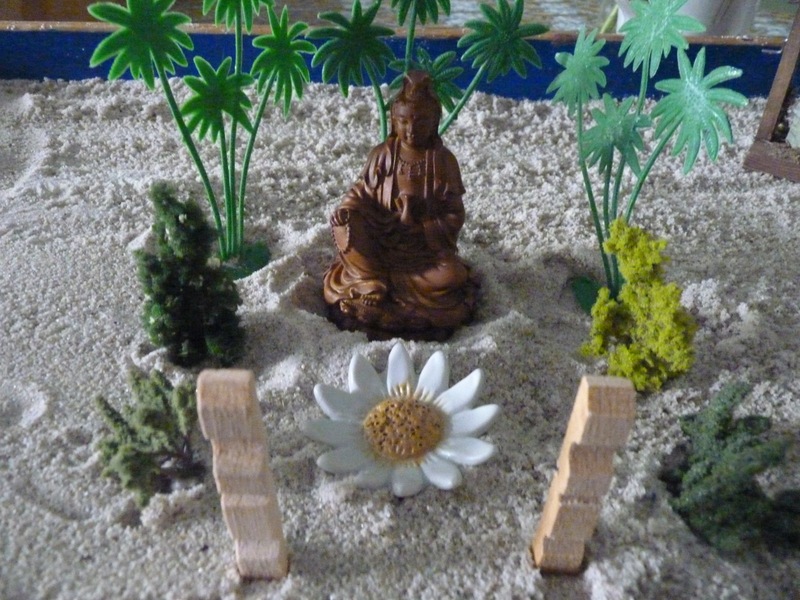 I attempt to bring ideas and practices from the mindfulness based approaches both to verbal and to sandplay therapy.